Globalisation influences every aspect of post-modern social reality. However, little empirical research has considered how globalisation affects people’s perception of their national attachments. This book explores the nature of national identity in our increasingly globalised society. "Who Are You?" is the question that it addressed in conversations with international business travellers whose exposure to different cultures, languages and values through their business travel and interactions with their foreign colleagues brings a new slant on their vision of the world. How does it influence their understanding of themselves? 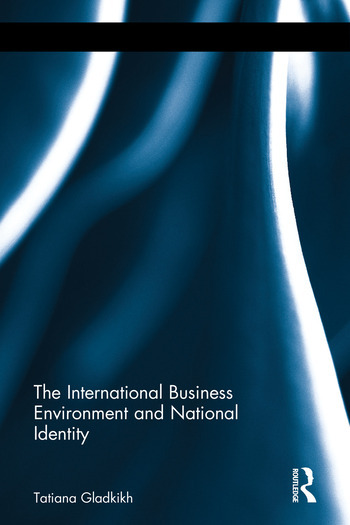 The International Business Environment and National Identity is based on interviews with Russian and British business travellers whose views on their national identity and the role of global business in shaping it offer a new insight on our understanding of the impact of global forces on contemporary society. The book discusses the respondents’ practical experiences of their international encounters, their impact on shaping their personal identification and highlights differences and similarities in people’s articulation of their national belonging. The issues of understanding the self and the effects of globalisation on business people’s professional and personal lives are at the core of the book’s investigation. The International Business Environment and National Identity will appeal to students and researchers of international management and cross cultural management as well as those studying intercultural communication and globalisation. Tatiana Gladkikh is a Senior Lecturer in Business Management at the University of Winchester, UK.